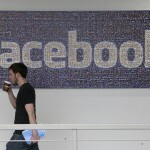 Targeted facebook marketing services to boost brand awareness. From creation of a Facebook campaign to its launch; and from promotion to campaign tracking, our Facebook marketing team does it all. 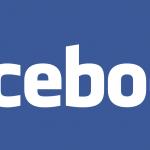 With over 900 million users on-board, Facebook has now become the #1 platform for marketers. They are increasingly using the platform to reach their target audience to promote brand awareness, increase fan base and drive sales. 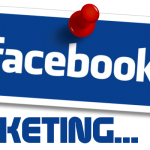 We are a leading Facebook marketing services agency that has been helping businesses since over a decade to fulfil their Facebook marketing objectives. Whether you need more conversions or want to skyrocket brand awareness, we will help you achieve your targets – specifically in the advertising space. Your objectives with the campaign could be conversions, leads, website traffic or page likes. Before launching your campaign, Brainpulse sits with you to work on your campaign objectives. 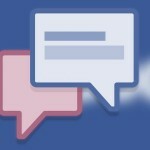 A right objective tells Facebook what you are aiming to achieve with your budget invested in ads. With traffic being the campaign objective, we show your ads to the audience who are more likely to click on ads and reach your website. 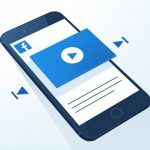 Customized campaigns using Facebook’s Leads ad forms to generate more leads right on the Facebook news feed. Our conversion focused ads are aimed to increase sales, sign-ups, purchases or any other desired action on your website. Targeted engagement campaigns having post engagement, Page likes, Event response and Offer claims in mind. Brainpulse taps into its network of potential audience who may be interested in learning about your products and services. They themselves are excellent networkers and relationship builders. They further share your content with other relevant communities having like minded people. Are you a business, organization, celebrity, and political figure and want to gain exposure on Facebook? Our Facebook page management services are for you. Leverage the immeasurable potential of a highly advanced and interactive social networking platform with targeted Facebook advertisements. Give your business a push with unique Facebook applications and widgets having astounding visualized designs and functionalities. For businesses that are looking for massive genuine Facebook followers, Brainpulse’s ‘buy Facebook followers’ is an ideal bet. If you’re looking to get quality Facebook likes to boost your Facebook business page reach and visibility, Brainpulse has a solution. Facebook groups and communities are a great way to improve your business reach and keep your target audience engaged in conversation. How Our Facebook Marketing Works? Our competent social media marketing experts and Facebook experts creates effective and goal-centric Facebook campaigns to target potential customers based on preferred locations, gender, age, interest and previous interactions. From creation of a Facebook campaign to its launch; and from promotion to the measurement, our Facebook marketing team does it all. Your Facebook business page (Fan page) is a powerful tool that builds relationships and brings credibility to to your business. This is the place where your prospects engage with you and discuss your products and services in detail. But, unless you have right chunk of followers, you can't reap benefits. Not just we ensure targeted followers for your Facebook page, but also help your business reach your customers, building relationships, improving the visibility of your product/service. Still have queries? Call us now on 0120-6790400 to get in touch with our Social Media Marketing Experts. They will tell you about our exclusive Facebook Marketing Services plans made specially for the businesses like you.